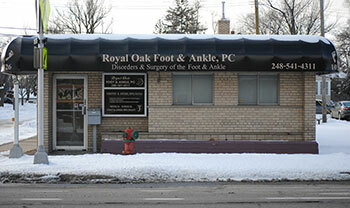 The family of Royal Oak Foot & Ankle PC offer over 20 years of experience in treating all foot, ankle, toe and nail problems. We always have emergency appointments available! Save time on your first visit! Print and fill out our New Patient Forms (pdf) and bring them with you to your appointment. Our philosopy is to treat foot & ankle conditions by the most appropriate method, considering all factors. Some conditions respond well to conservative methods while other conditions require surgical correction. Dr. Comfort and Dia-foot.com — Diabetic Shoes — These shoes may be partially or totally reimbursed by Medicare for Qualifying Diabetic patients. 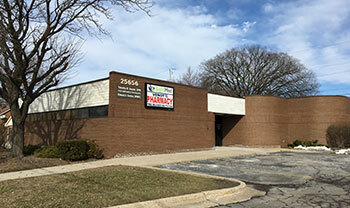 We are willing and able to counsel our patients regarding the appropriate treatment and to understand their particular desires to formulate a treatment plan. Our Doctor is on staff at local area hospitals. Our office participates in the Dr. Comfort Diabetic Shoe Program and Dia-foot.com Visit their website(s) for more details. Would you like information about a particular foot condition. Visit our Ask the Doctor page. FootHealthFacts.org - Another good source of information for Foot and Ankle Conditions.